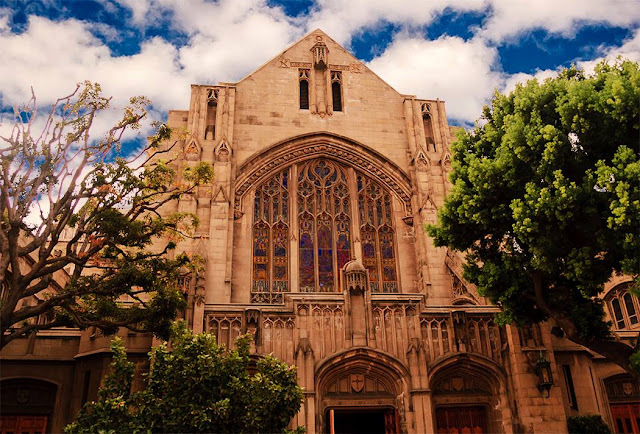 St. Andrew, First Baptist, All Saints, First Congregational, Fuller Theological, Pasadena Presbyterian, First United Methodist, and the First Church of Christ Scientist are all impressive examples of the many inspiring sacred spaces that can be found in downtown Pasadena. This guided walking tour will focus on the distinctive architecture and interior decorative devices that uplift the eyes and the spirit -- carved ceiling beams, hand-painted murals, and richly stained glass motifs. Our previous church tours have been sell-outs, and this one will offer the chance to enjoy work by leading, regional architects designing inspired ecclesiastical buildings. Please note that the tours include only exteriors.